Even as the headline inflation in India continue to remain at highly elevated levels, the recent significant rise in price of steel has further added to inflationary pressures as food and energy costs are already soaring. Since steel is an input for so many products, the rise in steel prices has a cascading impact on overall pricing structure in an economy. Over the last one month, prices of various steel products, particularly the flat category, have increased by 9-12% in India. However, the steel industry cannot be held guilty as its cost of production has been increasing at a much faster pace, and despite the recent increase, the steel companies would probably be earning margins which are less than the year-ago levels. The industry has already had a bleak quarter December as margins have been hit due to rising costs amidst stagnant prices. Even though steel demand in India is reasonably strong, there has been a lot of import of the commodity which has been keeping the pressure on prices. 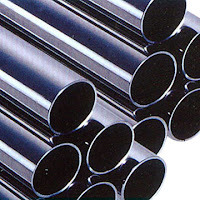 With a pick-up in infrastructure projection expected in first quarter of 2011, steel demand should further improve. However, it is the cost of production which is keeping the industry under pressure. Prices of both iron ore and coking coal prices have been on the rise in recent months.